2008 Ranger Flybridge Cruiser. 14.2m X 4.2 X 1.3 X 16T Price reduced ! No expense has been spared to bring this vessel up to a very high standard. A most attractive boat. Powered by twin Yanmar 6LY2-STE 420 hp Turbo diesels, (circa 980 hours) (fitted 2008) an 8 kva Onan genset, plus a large bank of AGM batteries, there is horse power to burn. 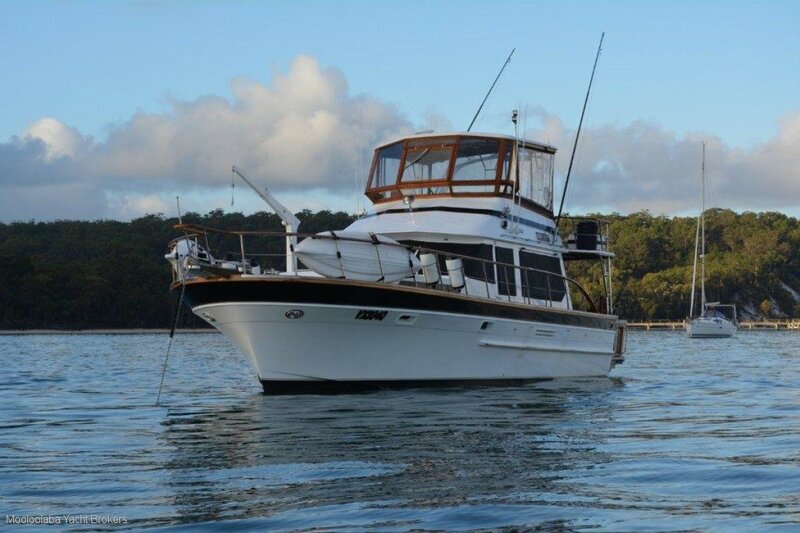 She has a Polocool 6kw aircon, a full bank of Raymarine electronics, new Muir anchor winch, chain and warp, a Yamaha outboard for the Avon 3.1m RIB, new Victron 80 amp charger, plus all new refrigeration and freezers. Layout is master stateroom, double in saloon plus two singles. A custom after deck has been fitted to extend the cockpit which works very well. This suburb Flybridge cruiser is also fitted with a water maker. Very realistically priced at just $285,000.00 The Owner has just advised us to drop the price to $260,000.00.